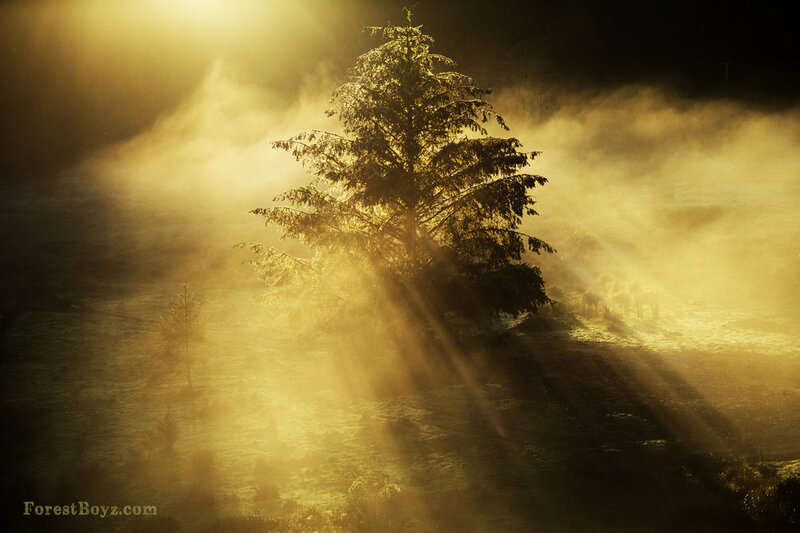 Do you wonder if there is such a thing as heaven on earth? There is… meet the Forest Boyz. 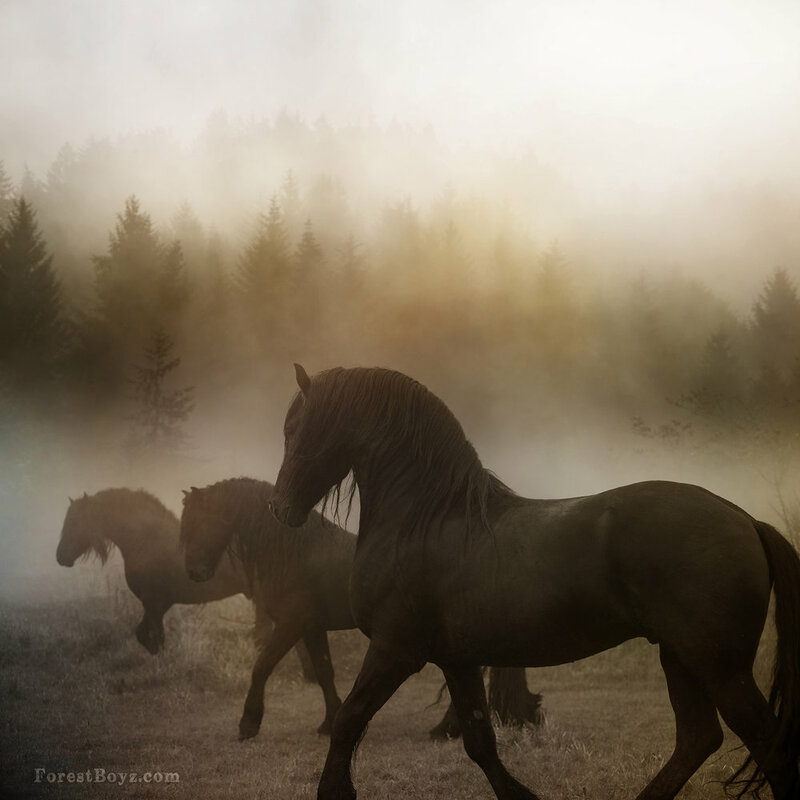 Meike, Menno and Saphire are Friesian stallions that live free in a bachelor herd in the forests of the northern California coast. Meike and Menno are half-brothers, born on the same farm, 2 weeks apart. 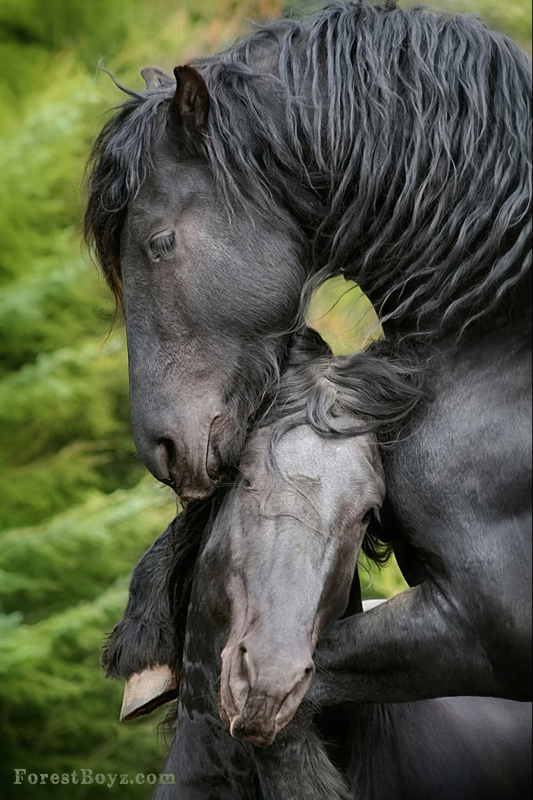 Meike was my Friesian stallion dream come true, and came to live with me when he was 6.5 months old. I had an older retired ex-racehorse at the time, and I quickly learned that Meike needed a younger punching bag. Menno came to live with me 6 months later, and the two brothers were reunited. A year later, Saphire joined the herd as a yearling. He is owned by a friend who did not want to geld him or keep him in a stable. 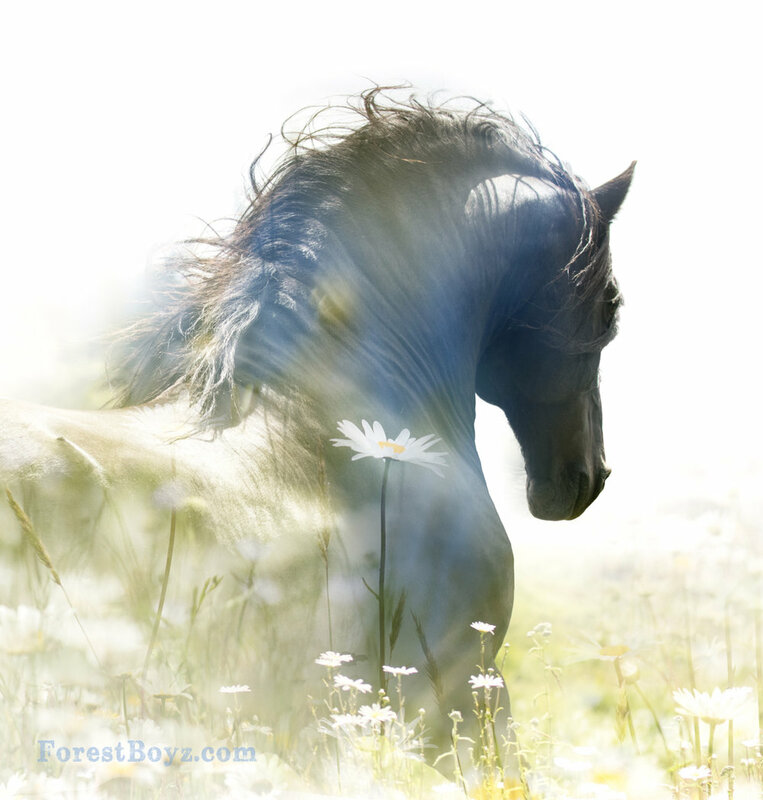 Saphire’s owner decided that he can be a Forest Boy forever, so the three of them will live out their days together as stallions in a bachelor herd. I’ve never had a stallion before, but I decided that if it wasn’t easy or fun, then I wouldn’t do it. But a bachelor herd WORKS and they are very happy. I try to give them the best life I possibly can and I hope people can see that in the photos. 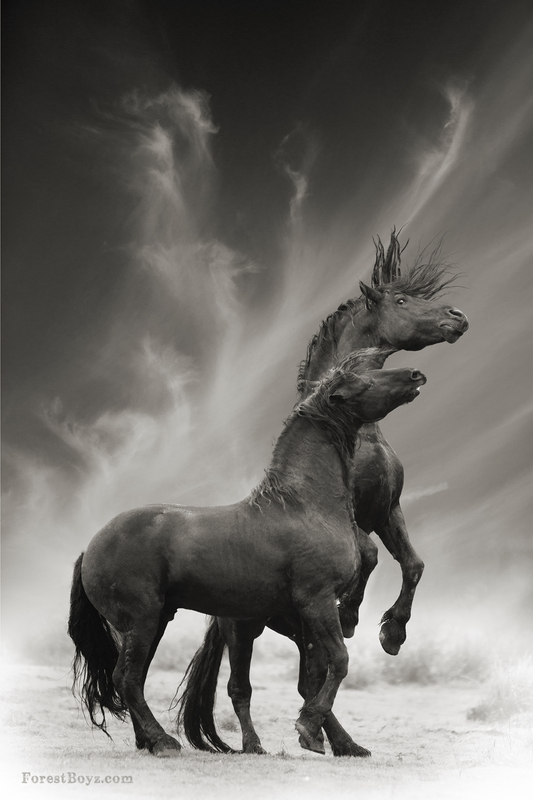 I’ve been photographing them and documenting their lives together every day since they were yearlings. 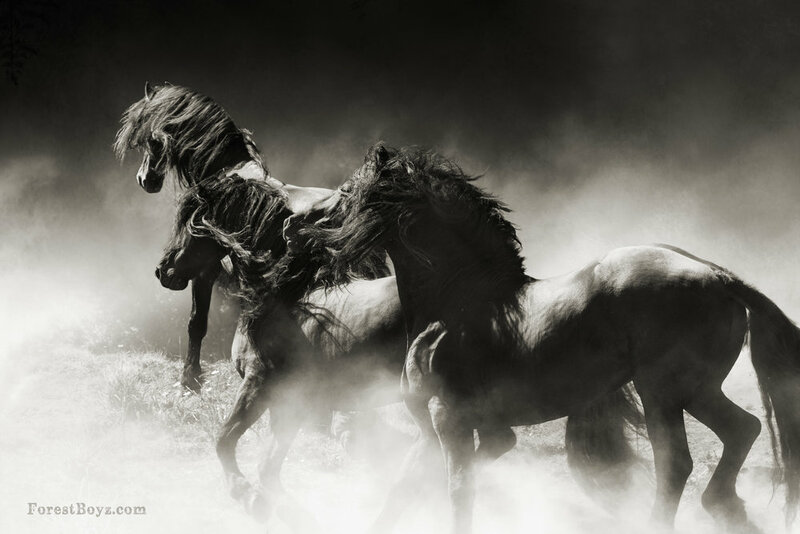 I hope it encourages others to give their stallions better lives with companionship and freedom. Prints are available of any images you see on this website, Facebook or Instagram. Email lauraz@forestboyz.com or call for pricing and more details. Please respect my copyright. Do not use or paint any image without permission. Thank you!